Fire ropes aren’t commonly a standalone performance, but the addition of a fire rope act to your event/performance can yield some amazing reactions. 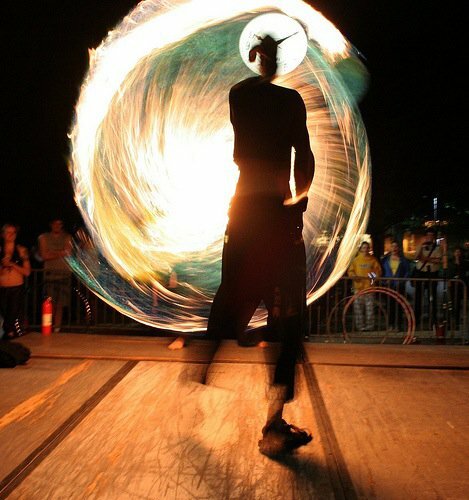 Fire rope spinning includes fire Lariat (fire lasso), flaming jump ropers, or various other forms of fire rope manipulation. 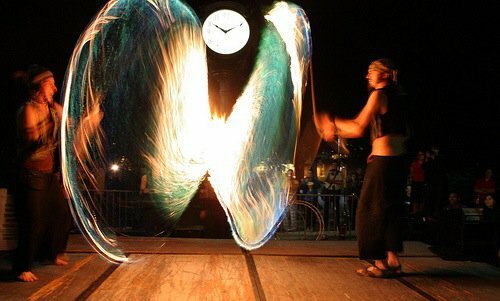 Fire ropes create long lines of flame, for theatrical purpose, or when spun, creates huge swinging arcs and intense geometrical patterns.